Lightweight and durable aerospace grade carbon and resin construction,1-piece structure. The PoweRelase Pro stick shares most of the features of the Latigo Pro, including the aerospace grade carbon and resin construction, the Durotec Weight Reduction Process, and Phantomlite Technology. The PoweRelase Pro incorporates a special, additional Durotec Resin Coating. The coating adds only 20 grams of weight, achieving an incredible level of rigidity yet keeping it among the lightest sticks you can buy. 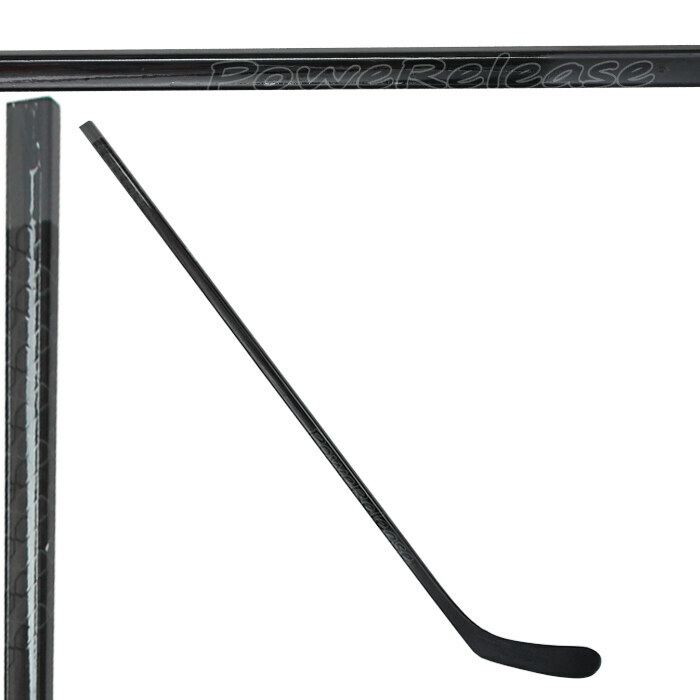 No other company offers a performance hockey stick as lightweight and durable for this price. Low flex kick that allows more puck contact through release for a harder shot in all shooting categories (slap shot, snap shot and wrist shot). Two way concave for exceptional stick control and comfort. Mid hosel two way fuse prevents torsion in the lower shaft for more stability on all aspects of the game and greater accuracy on shots. Built with a High Impact DuroTec Resin Coating that produces a tougher blend for added durability. PhantomLite wetting technology prevents air pockets during the manufacturing process. This guarantees consistency from one stick to the next. Dual ridge blade construction with a responsive soft foam injection for increased durability with enhanced feel and playability. It provides a soft yet firm blade feel and helps prevent blade torque. 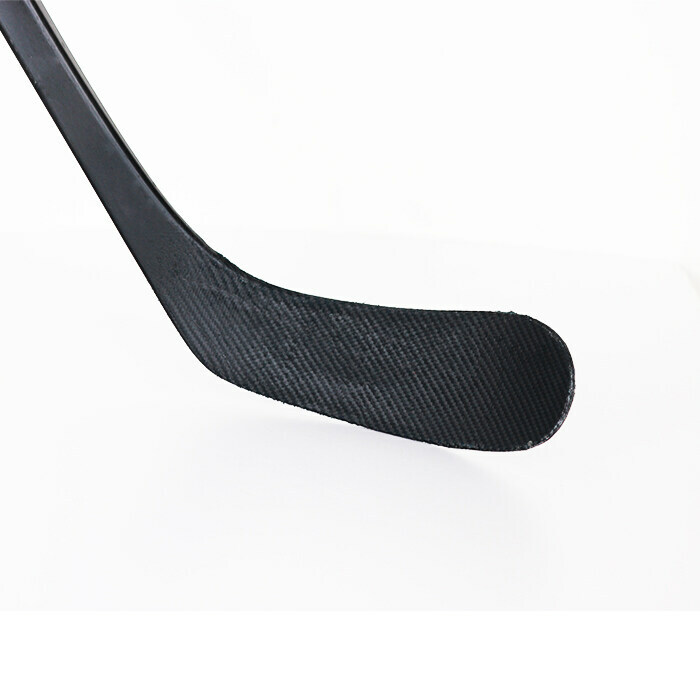 High end senior stick ,which is taken with round wide carbon layer and 1-piece mould tech. Stick kick point is moved down,used by player who want to bend stick in low area of shaft . The stick has good weight balance through whole stick .And blade is taken absorption foam and 3k absorption materials . Everything is made for player to control puck easily . Warranty policy : 45 days . Additional serivce： for all senior stick , we can extend 3" (7.5cm) if you need longer sticks .you can make note while placing order. Custom service : It is available to provide custom service for your logo ,brand, team and club etc .